The Schiller S1-C Water Bike is an extraordinary machine. Think premium bike meets ultra portable catamaran. Safe and stable in open water; you can jump straight on the bike, no training needed. No helmets, no paddles and no limits to exploring. It can even go in reverse. Over the August Bank Holiday weekend the Extreme Sailing Series™, now in its 12th year, arrives in Cardiff Bay and will be the headline act of the Cardiff Harbour Festival. From 24th–27th August an array of Olympians, world champions and America’s Cup superstars racing on identical hydrofoil catamarans called GC32 will battle it out to win the only UK leg of the ultimate stadium sailing race global championship. On Saturday 25th and Sunday 26th, the revolutionary Schiller Bikes will also take to the waters in Cardiff Bay. 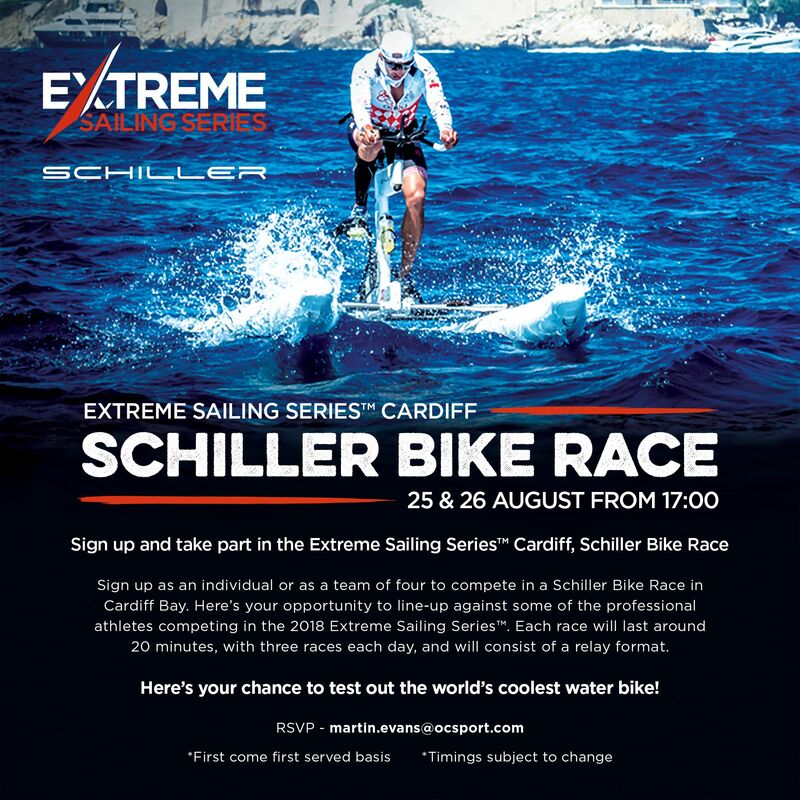 A series of water bike races will be held, with the winner riding away on their own Schiller Water Bike.